If you listen to Ancient Faith radio, read books from Ancient Faith Publishing, follow a blogger on our platform, or visit with us on social media, you are already part of a thriving community of people who love the Orthodox Christian Church and seek to bring her into their daily lives. We value your presence and the many kind and generous ways you find to support this ministry. Like all good friends, we want to know you better! We want to expand our conversation with you, sharing the dreams and accomplishments of this ministry with you, and giving you every opportunity to talk with us about this important work. With that in mind, welcome to Behind the Scenes! This is your backstage pass to the daily grind and the daily gifts that come with creating the radio programs, books, blogs, and outreach projects we hope you enjoy. We’ll be posting on every aspect of our work and community, spotlighting projects, staff, board members, and breaking news from Ancient Faith Ministries. There’s never a dull moment around here! May God guide our path as each of us face death,whether sooner or later, and give us courage to live faithfully for Him. 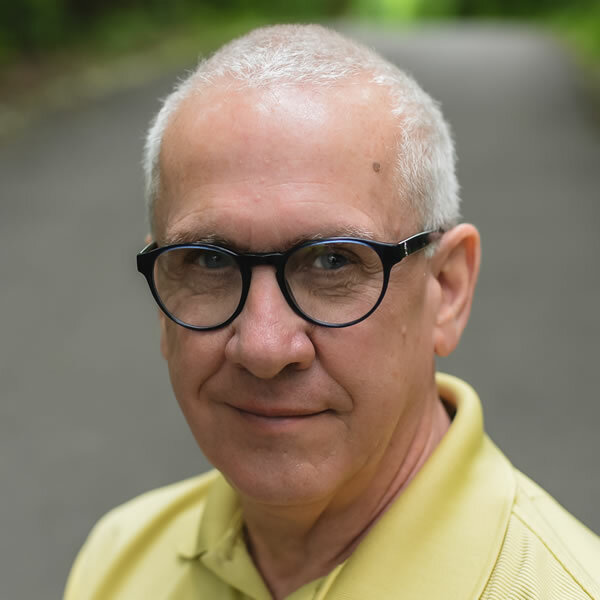 John Maddex is CEO of Ancient Faith Ministries, a publishing and radio outreach operating both Ancient Faith Radio and Ancient Faith Publishing. He has 40 years experience in broadcasting, having served at the Moody Bible Institute and Focus on the Family. He was responsible for Moody’s 35 owned-and-operated radio stations for much of that time. John has served on the board of the Fellowship of St. James, which publishes Touchstone and Salvo magazines, as well as the National Religious Broadcasters. He and his wife Tonya live in Chesterton, Indiana, and have two adult children and eight grandchildren. Speakers and Topics for 2019 Ancient Faith Writing and Podcasting Conference!